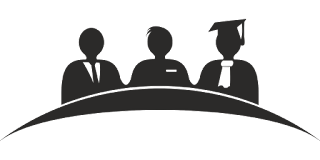 Now understand the process of learning we have many topics about developing your Interview Skills. Step by step read those all and practices one and again because without practices it does not work. Now time to choice a topic from bellow. Best recommendation is choice 1st to last, I mean to say step by step. 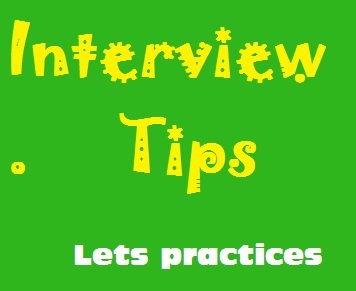 Invite all Freshers candidate to get best interview tips. 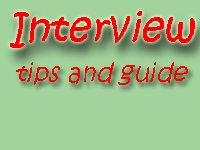 Here all Best Tips, strategies and Interview question answer are available for freshers candidates, start preparation. It is simple and very easy to understand that there are lots of site on the web about this topic. But actually what you need? You need a place with the bunch of information together. That’s why the course is designed for you. In order to get the success you must value your time and this strategy increases your efficiency. So all the basic to master-level technique, all the tips, tricks, technique, and information in your hand now. 1. You always up to date with the market. 2. Read lots of book every day related to the company or govt or non-govt organization. Lots of research gives you lot of information and it makes you real confident. 3. Read and research a lot about the sector or organization. Their product and services, and also note some point that only provided by this organization. The tricks are found a point in which point the sector or company best in a many or at list one particular field. 4. Give you enough time to understand yourself. Meek yourself relaxed because of a relaxed mind only able to understand deeply any incident and situation. Practices because these practices give you huge benefits compare to other candidates. 5. Practices one and again. 6. Repeat the process again and again. Because you job your career depended on may be this 3 to 5 minute. And keep it mind the first impression always the last impression. So your act must be as usual. 7. Learn all the technique about what is the best process to answer of feedback them. 8. Last time before entire the hall you must recap all the method you learn. 9. Deeply understand what want the interviewers from you, there like and dislike. It is always a big question are you feeling nervous or not to face them, so always be cool. Now don’t worry this full free course help you to be a master. So there are lots of tricks always available in this course now time to go deep of this course. In today’s world, there are lots of opportunities always available. In the various website and newspaper each and every time we able to get our career opportunity related updates always. Just get information and analyze now which job or career option is better for you and apply. Some of them (many companies) always offer you direct recruitment through online or telephone process. So there is a huge scope start today apply now for any job vacancy and it may be give you an opportunity. Look for those opportunities because those are the easiest way to get any job. And you can also apply offline or go the office of the company or sector to apply it also works for you. If you have any questions don’t forget to comment your questions and opinions in below comment box. Time management – skills, tips and technique. How to dress for a Job interview – What to Wear?